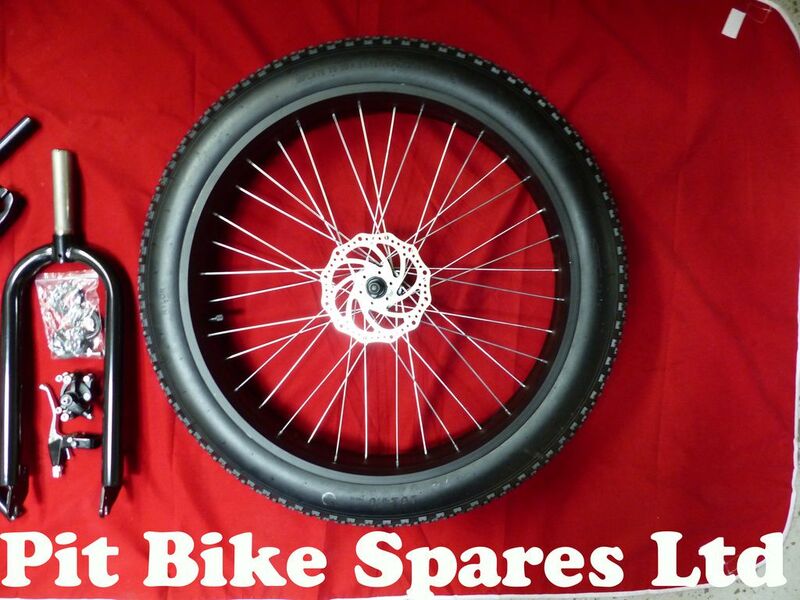 If you are building a drift trike then here is the ultimate front end kit. 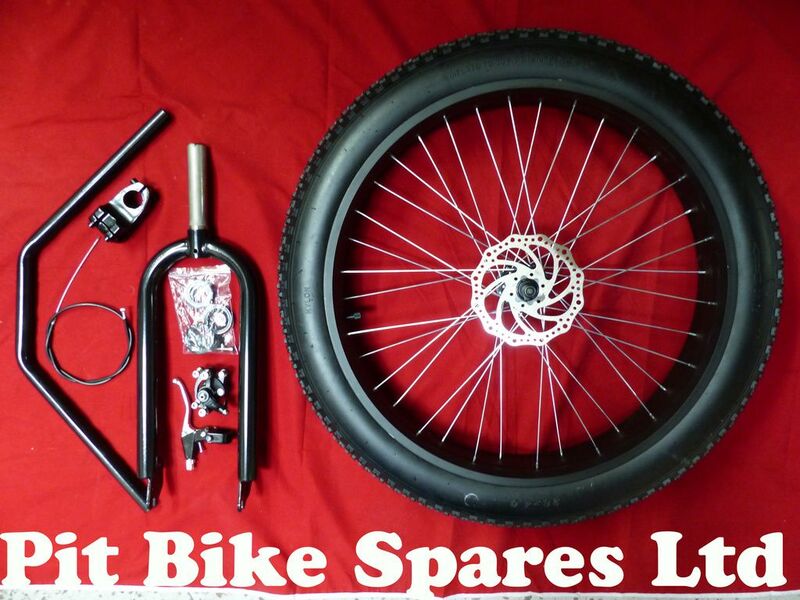 the kit consists of a 26" front wheel 4" wide with tyre, 160mm brake assembley with brake lever, caliper & cable, front forks (stem standard BMX size), stem bearings, handlebar clamps & handlebars. 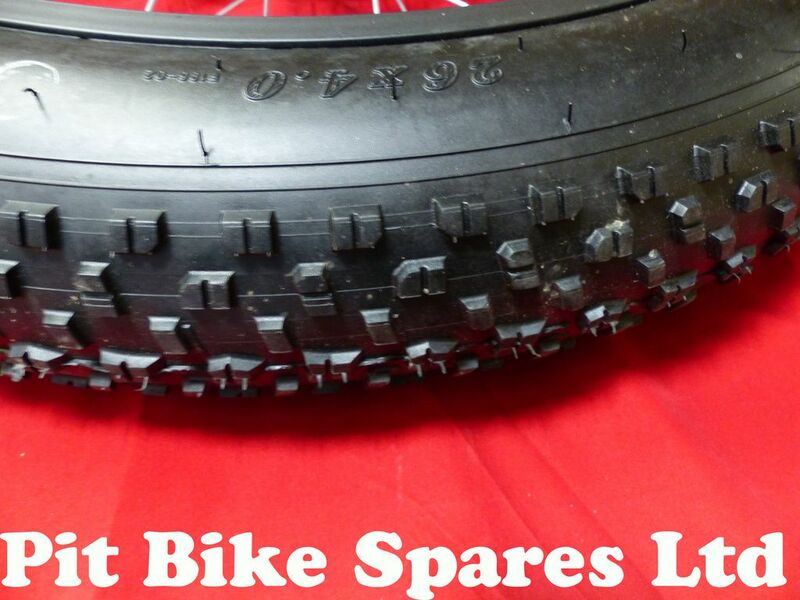 We also have this with different colour front wheels. 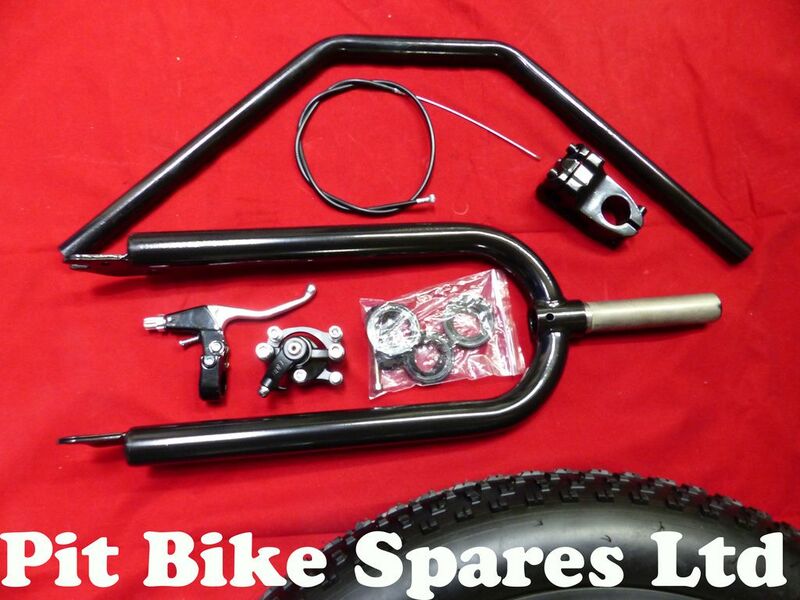 We also do rear axle kits, sleeves, seats, engines etc for Trike builds. 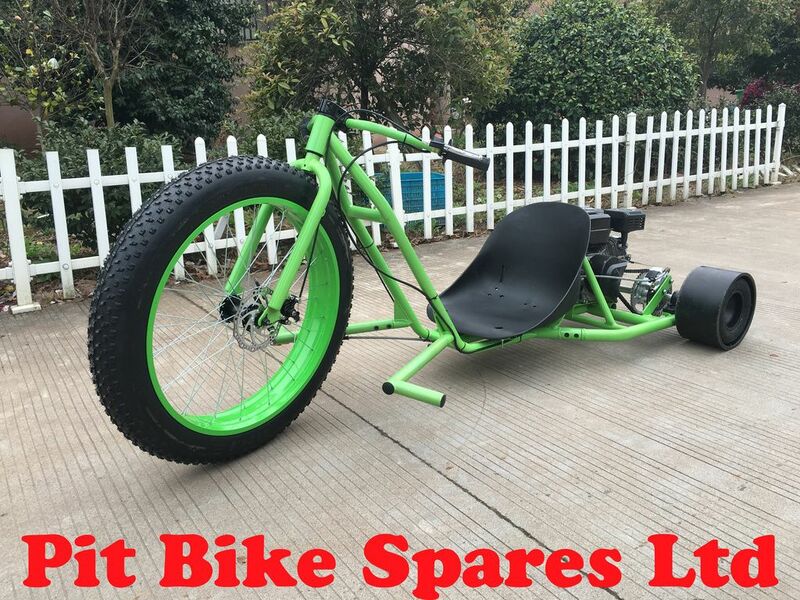 We sell complete Drift Trikes too. 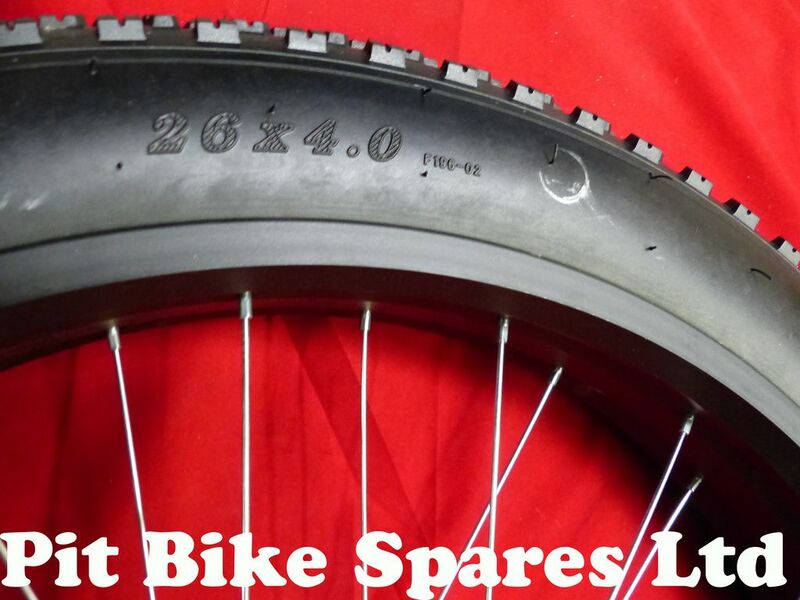 The larger pictures at the bottom show what the big wheels look like fitted.